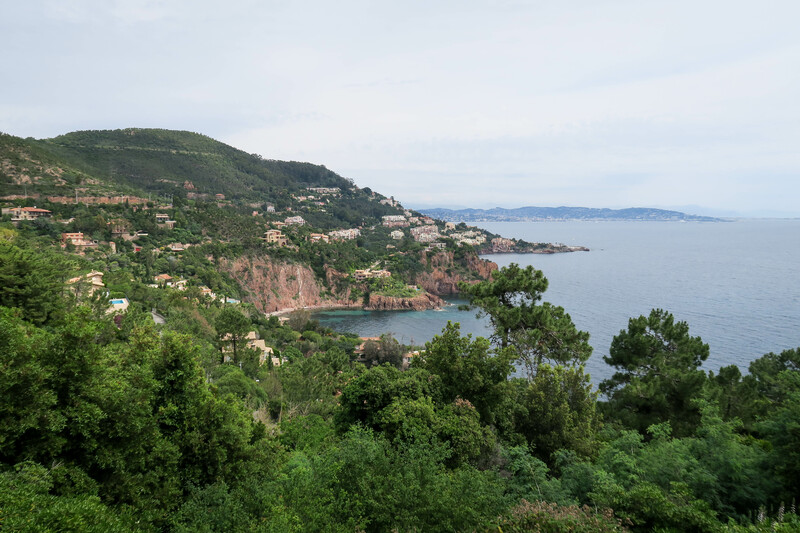 After our day in Mougins and night in Le Mas Candille, we drove along the coast from Cannes to Le Lavandou. 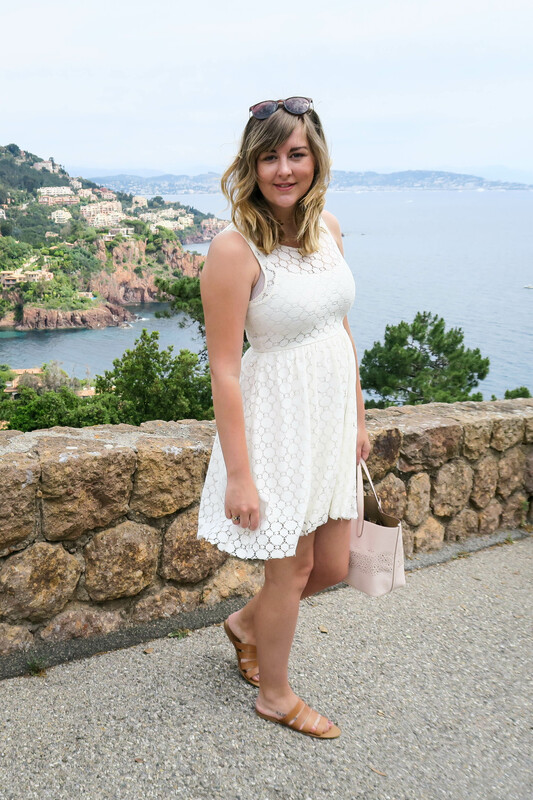 Cannes is world famous for it's Film Festival, beautiful beaches and celebrity visitors. 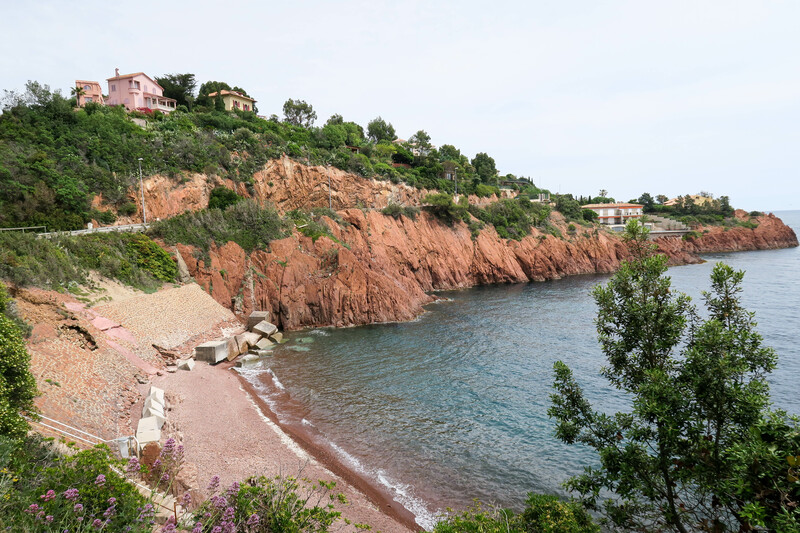 But did you know that a short drive from Cannes can insure you amazing views of hill top towns, sea views and stunning red rocks & pink beaches. 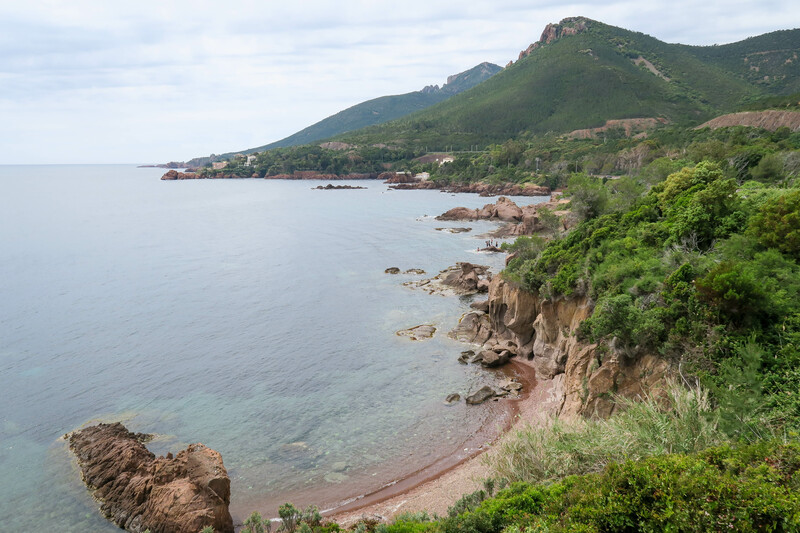 The coastal views are spectaular, especially the Cannes side. 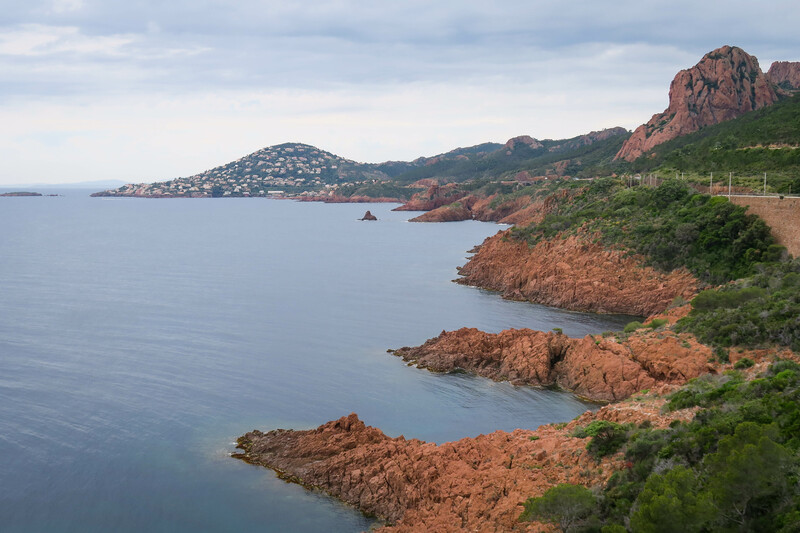 We pulled up numerous times to admire the views and to visit small beaches and calanques. 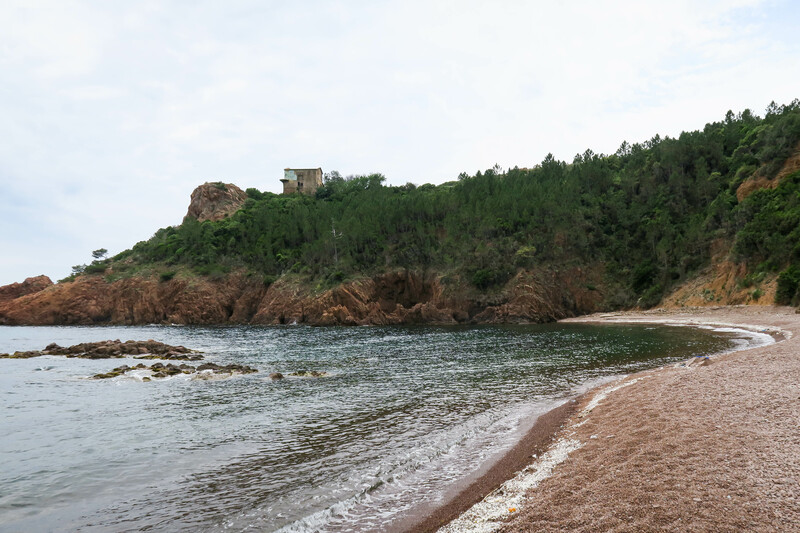 The rocks around the Esterel area are red, which means there are red/pink beaches!! 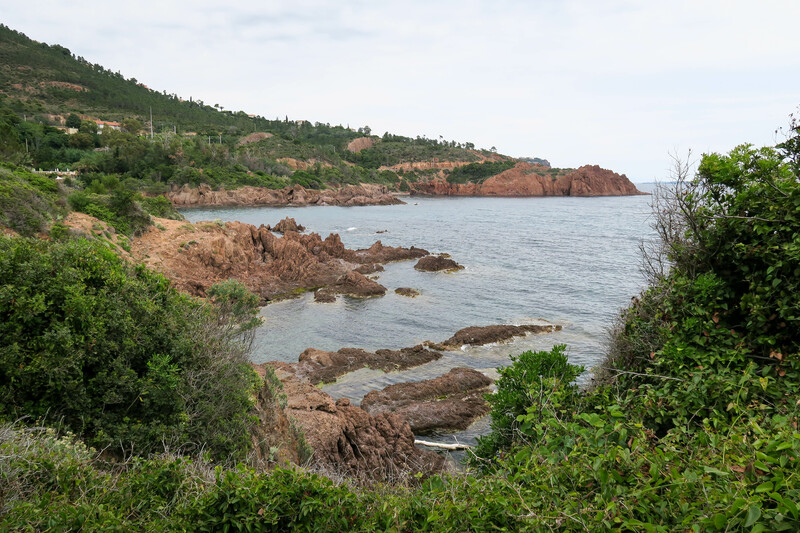 I loved the burnt red rocks against the clear blue water, blue sky and the green foliage. I didn't take many photographs but did take some videos, so stay tuned for that! Why are the rocks red.. 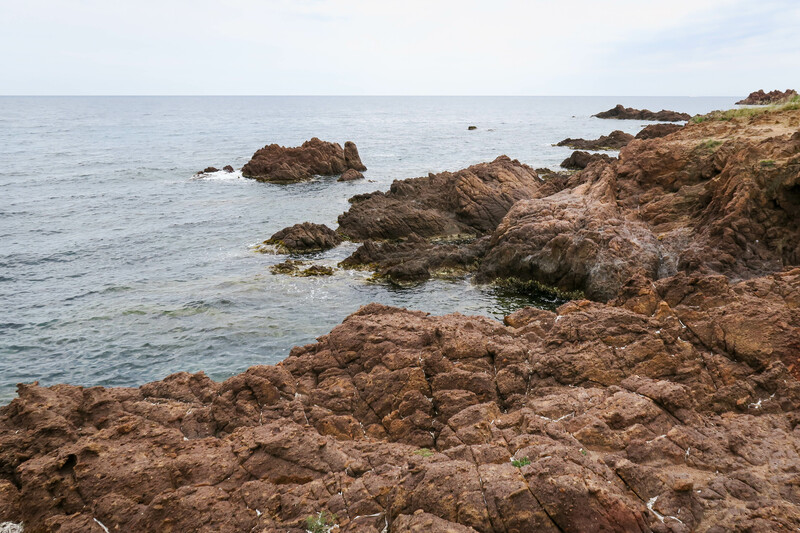 I didn't know so asked Google and Wikipedia says : "The soil and rocks of the range are of volcanic origin, composed mainly of porphyry, which gives the hills a red colour." 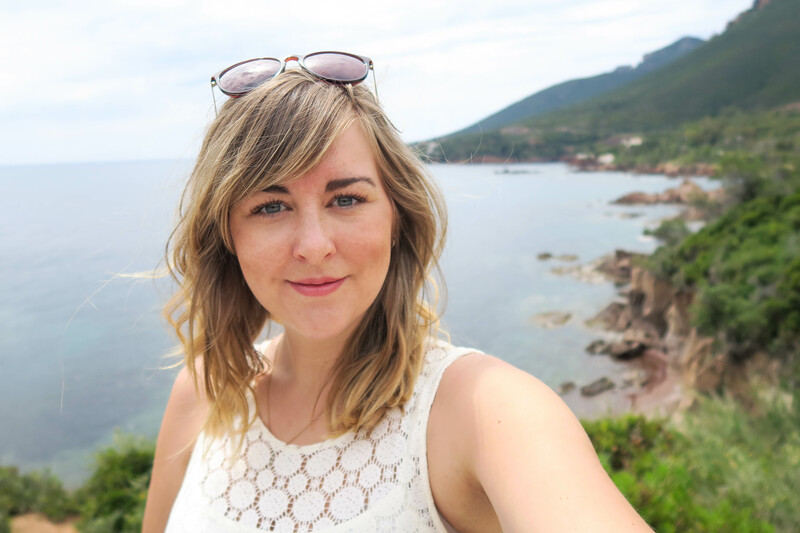 One of my favourite parts about this road trip was looking at all the beautiful huge houses. All equipped with swimming pools and gardens and a lucky few with steps down to a private beach. These are the houses that people dream about..!! 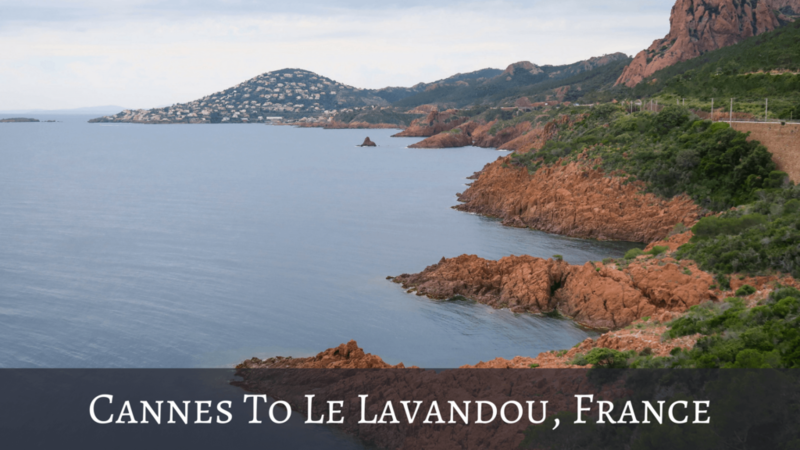 If you have any questions about the South of France, don't hesitate to get in touch in the comments or via email. 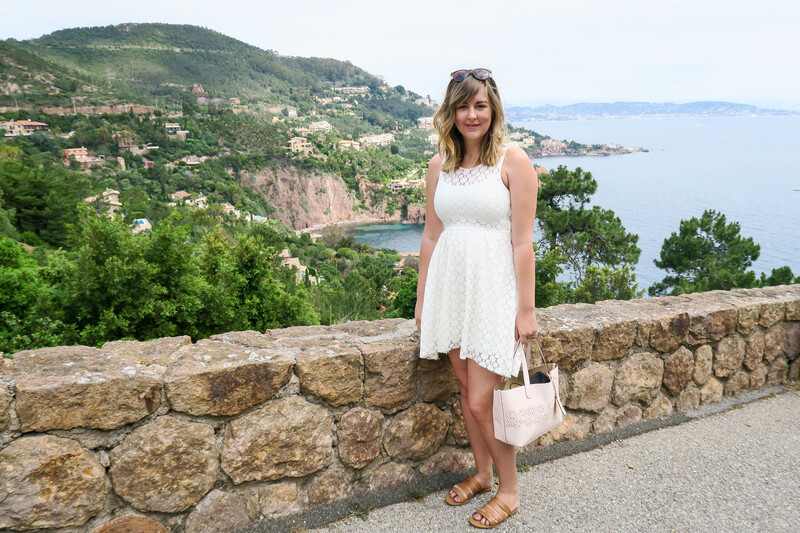 Read my blog post about Mougins here..
Read my blog post about Le Mas Candille here..